Are you one of the few lucky people who play on the boat or camp all year-long or do you work hard for most of the year so you can play all summer? If you answered yes to the latter, then you need storage for your boat and RV when they are not in use. Here are the 3 main reasons why. Free up space in your driveway – Boats and RV’s are huge things to keep in your driveway all year-long. They take up space that could be used for other things like your car, visitors or just a place for your kids to play. When you use a place that offers big toy storage, you free up space in your own driveway while ensuring the safety of your RV and boat. 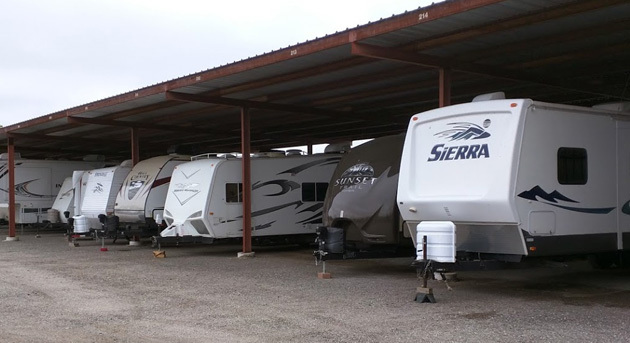 Gated Access – When you are looking for the right storage facility for your RV or boat, be sure to find one that offers a security gate so the only people who can access the facility are customers. Sometimes, when you have the right storage facility, your RV and boat are more secure in storage than they are in your own driveway. Safety from weather – One of the worst things for an RV or boat is the weather. Rain, snow, sleet and wind are warnings of disaster for a big, expensive toy. Weather elements can damage the exterior and the paint on the RV and even cause the roof to leak which leads to not only a wet head when you are trying to sleep, but mold and mildew which is very expensive and time-consuming to repair. You may think that your boat is out on water all the time so it is immune to damage due to weather but it is just as at-risk as an RV. If your boat was to have too much rain or snow build up inside, it will damage the seats, carpet and upholstery of the boat, again, a very time-consuming and expensive repair that is avoidable. When your season for camping and boating is over, store it with us! Contact us for our competitive pricing and multiple options your off-season boat or RV storage.